Part 6 of 8 Sermon Summary. If you have the Holy Spirit, if you have spiritual life, if you have joyfully believed the gospel, then Jesus “knows your name” and promises to “confess your name before the Father”! What more could we want than that? Rejoice in our salvation. We’ll walk with Jesus in white. If you know the gospel, but have not yet repented and believed, Jesus says “Wake up!” You are physically alive, but spiritually dead. Jesus said that “If you do not wake up, I will come like a thief, and you will not know at what hour I will come to you.” (Revelation 3:3). You don’t want Jesus to come for you and you not be worthy of eternal life. Jesus warned Sardis—and anyone else who has a name for being alive, but in fact is spiritually dead—to make sure you’re woke! If you would like to know God personally, contact us here (connect.tcc.org) Scroll down to the Ministry Information Request section and mark the first or second checkbox. We look forward to helping! 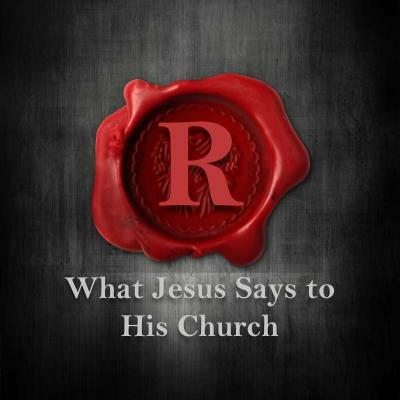 If you have friends who are in a spiritually dead church, share this Revelation series with them. It’s all online, at tcc.org. Pray for them, and help them find a church which really believes and teaches the Bible. We don’t need to be in identical churches—but some things mean the difference between heaven and hell. Truth matters. Remember, I’m not talking about style, but about substance. Does their church believe that the Bible is true, and that people really are spiritually dead and going to hell unless they repent and trust in Jesus on the cross to pay for their sins? Help your friend find a church that really is alive.